Over the last two years or so, I've had the privilege to be introduced to and watch the development of UK rockers Bigfoot. (I know, you probably think, with a name like that, they would be a band from the American northwest. Nope.) The band dropped two EPs in 2015 and 2016 which were exceptional, if not short, and they toured aggressively in support of them. In other words, Bigfoot had the potential for some breakthrough greatness. And here comes the big leagues, with a brand new self-titled long player of original music (that's to say they didn't rerun their EPs) for the Frontiers Music label. 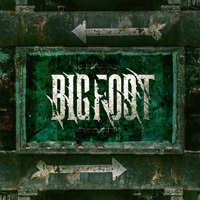 There's no mystery about the Bigfoot sound: this is classic melodic hard rock, with some metal edge for heaviness, definitely with some latent blues and Southern rock groove underneath. On this album, as with previous material, I was captivated by several things. One, is the strength of Antony Ellis' voice and vocal style. He sings clean and melodic, with a harmonic and passionate timbre. His voice is then embraced and embellished by fine background vocal arrangements. Next up is the twin guitar harmony in riffage, followed by excelling guitar solos. These things are then complimented and supported by a rhythm section that delivers deliberate, albeit heavy, rock groove. All that's left to do is wrap these things in tasty melodies, catchy refrains, and AOR accessibility. It all works, and works well. With these things in mind, some killer hard rock tunes come with Tell Me A Lie, Eat Your Words, Uninvited, and the amazing and catchy Karma, easily my favorite song. In the second half of the album, I found that the songs got a bit more heavy. Freak Show, I Dare You, and The Devil In Me were a little thicker in the riffs, deeper in the bottom end, but without sacrificing melody and harmony. Within the slow grooving Prisoner Of War you might hear some of that subtle blues groove. Yet I found it more self-evident, with a touch of Southern rock, within the ballad Forever Alone. Later the album finishes with the large and long anthem Yours, another slow burning riff thick number which soars with guitar lines. All said, once more and now with their debut long-player, Bigfoot delivers the goods, offering fans classic hard and heavy melodic rock, and proving that they aren't some mere and occasional EP band. Welcome to the big leagues Bigfoot. Recommended. 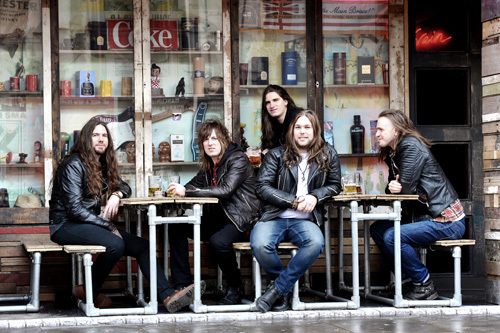 All said, once more, now with their debut long-player, Bigfoot delivers the goods, offering fans some classic hard and heavy melodic rock, and proving that they aren't some mere and occasional EP band. Welcome to the big leagues Bigfoot. Recommended.